Elaine’s dilemma is not only entertainment, but also a humorous method to analyze more mundane and humdrum economic topics like opportunity cost, scarcity, and option-value pricing. Princeton Professor Avinash Dixit applied Elaine’s predicament in a paper, An Option Value Problem from Seinfeld, "to quantify [the value of] this concept of spongeworthiness." The paper went viral, at least by academic journal standards, and helps reinforce how Seinfeld can be used to teach economics. Similarly, I have found the use of clips from Seinfeld and other popular television shows to be an essential tool when teaching financial literacy, not only to reinforce important concepts, but also to drive student engagement. My mission for the past seven years has been to help students and recent graduates develop healthy money habits and build the foundation skills for a lifetime of financial wellness. As the co-founder of the Harvard University Personal Financial Management Wintersession Program and an educator who has delivered workshops at Columbia, Wharton, and other academic institutions, I’ve encountered the challenge of commanding student’s attention firsthand. Who would have thought that cash flow management and the importance of renter’s insurance wouldn’t instantly and effortlessly enrapture students? Despite many universities now recognizing the benefits of financial wellness instruction, it is often not incorporated into the curriculum as a for-credit course (Annamaria Lusardi, one of the top experts on financial literacy, has a new course at George Washington University that is a notable exception). 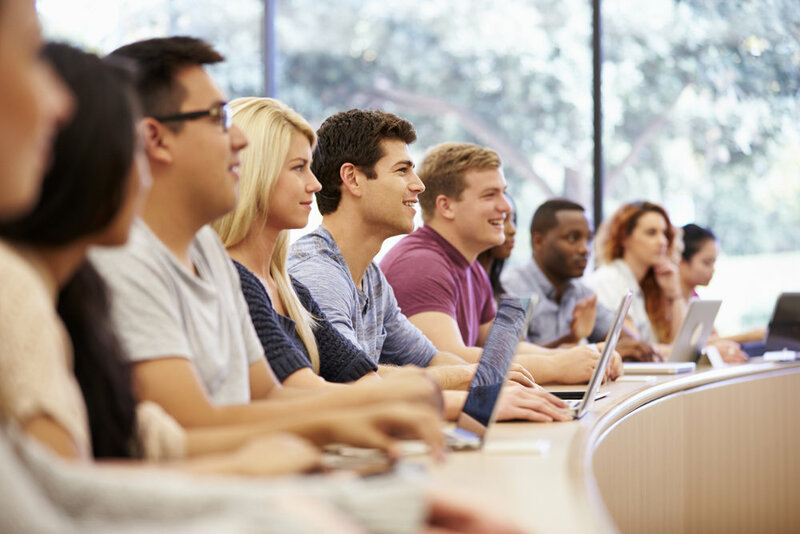 Positioned as an optional extracurricular, personal finance runs up against many competing demands, making it harder to attract students and keep their attention during sessions. While students do come craving information, many who I have spoken to have also said they don’t want to feel like they are sitting in just another boring lecture. Treating personal finance sessions as a combination of education and entertainment has helped me maintain student engagement and effectively convey important concepts. While this involves a variety of techniques, the use of pop-culture references and videos to draw out insights has proven particularly handy in an era of shortened attention spans. Videos help bring alive otherwise dry concepts like compound interest and simplify academic jargon like hyperbolic discounting. They make insights more memorable and practical. If you’re trying to explain the time value of money, why not show Jerry Seinfeld’s dad calculate how winnings from a bet 50 years ago would have compounded? If you’re striving to teach the importance of building and maintaining one’s financial reputation, why not show the humiliation Jerry suffers after he bounces a check at the local bodega and the owner puts it up on the cash register for all to see? While Seinfeld references may soon start falling flat on Generation Z, newer shows, like Last Week Tonight with John Oliver, have fortuitously filled the gap. If you are looking to add some entertainment into your personal finance lessons and capture student’s attention in a way that a PowerPoint slide or lecture cannot do on their own, below are a few favorite clips, old and new, organized by concept. Saturday Night Live’s ratings surged in the wake of the 2016 presidential election. This classic segment featuring Steve Martin and Amy Poehler and narrated by Chris Parnell is a funny way to introduce budgeting, needs vs. wants, and the concept of financial debt. The Cosby Show offers one of the best budgeting lessons of all time in this clip, when he teaches his son, Theo, about budgeting with Monopoly money. However, Bill Cosby has become a controversial figure given recent allegations, so use at your own discretion. John Oliver is my new favorite personal finance celebrity. He’s popular, relevant with today’s audience, and blisteringly funny in his take down of various companies and financial practices. I love his Last Week Tonight segment on Credit Reports (use sections from the start to 0:50 and then from 1:01 to 1:50 to avoid foul language). Seinfeld has a short but great clip about the backlash against Jerry when one of his checks bounces. I use this as a cheeky way to talk about the importance of safeguarding your financial reputation, which segues nicely to a discussion about building credit and watching over your credit report. The Daily Show: This clip pokes fun at the use of credit cards and is a great way to discuss buying habits using cash, debit, and credit (full disclosure: I used to work for American Express, whose ad is used by the show’s correspondent). The Simpsons, the longest-running American sitcom, satirizes many elements of American culture. One of my favorite clips is about the Town of Springfield—and Homer specifically—struggling to complete and submit tax returns on time. It is a terrific way to introduce taxes and insights around deductions and penalties (and teach students that, yes, they do need to file their taxes every year). Jerry Seinfeld (the comedian, not the show): There’s a short but effective clip from Jerry Seinfeld’s stand-up act about “Morning Guy” and “Night Guy.” The clip highlights the consequences of overvaluing our present selves and not thinking about the consequences that our actions today will have on our future selves. This clip can help set the stage for discussions about starting to invest for retirement early or about some of the pitfalls of credit cards. Seinfeld: To demonstrate the time value of money, I use my favorite clip of Jerry’s dad doing the calculation of what a $50 debt would be worth 52 years later. I use this clip with college seniors, graduate students, and new employees as a helpful complement to demonstrate how important putting money away early is to their long-term financial success. Last Week Tonight: While in school, most students will interact with people – professors, administrators, advisors – who will have their best interests at heart; however, this is not the case after they graduate. John Oliver tackles one of the most important overarching lessons to instill in students, which is that they are ultimately responsible for their own financial destiny. The end of the clip is an effective way to introduce students to the importance of fiduciary duty. One word of caution. Copyright law carves out fair use exceptions for using clips in educational settings, but there are limits. Before using any clips, please make sure you are abiding by copyright and fair use guidelines. What other media clips have you used to engage students when teaching personal finance? Which have been the most effective?